Recovery Cymru formed in response to pleas for independent services to support people in their continuing recovery following treatment. A real concern for those in recovery, especially in the early stages, is the possibility of relapse and the need for a community based on peer support and mutual aid was identified. Recovery Cymru aims to provide such a community offering groups, courses and individual recovery coaching sessions to equip members with coping skills to help sustain their recovery. 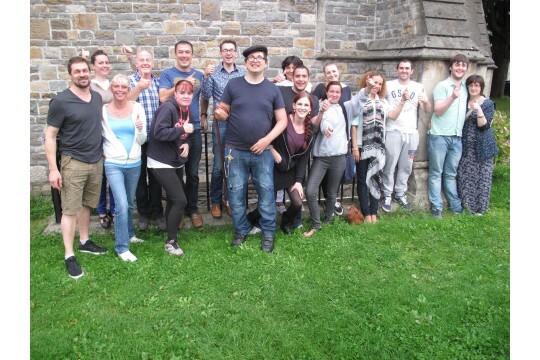 Recovery Cymru is passionate about supporting and empowering individuals in their recovery. We also seek to engage people from the wider community, without personal experience of addiction, in an attempt to challenge the stigma associated with alcohol and substance misuse and to counter the pessimistic outlook many have regarding recovery. We currently operate two centres in Cardiff and Barry and work in close collaboration with the wider recovery community across South Wales and the UK. Many of our members credit the support and sense of community afforded by Recovery Cymru as being pivotal to the success of their long-term recovery. Indeed, our members often go on to become volunteers at Recovery Cymru and other organisations which helps them to sustain their own recovery as well as benefiting the wider community. Recovery Cymru simply couldn't function without our wonderful, dedicated volunteers. We are always happy to speak to anyone interested in any of our diverse volunteering roles based within our two centres. Please see our website for further details.